The tracks through the plantation are short, and all level. 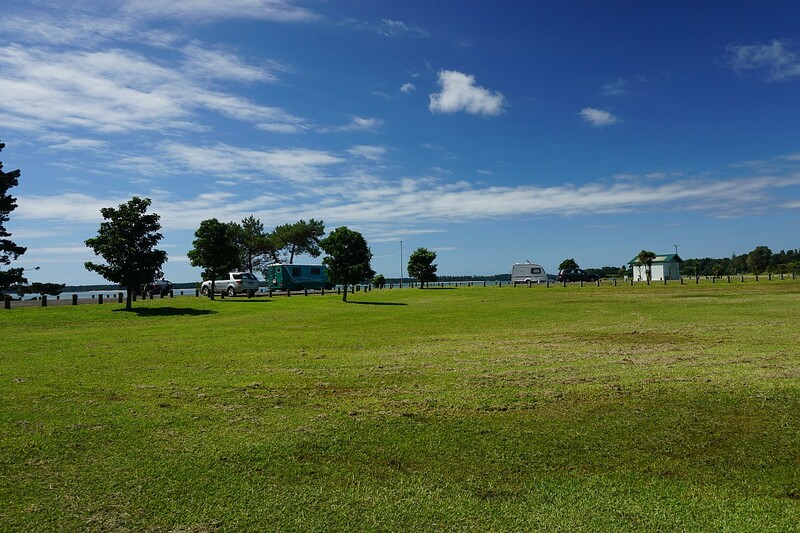 A longer walk can be achieved by walking along the grass reserve on the waterfront. 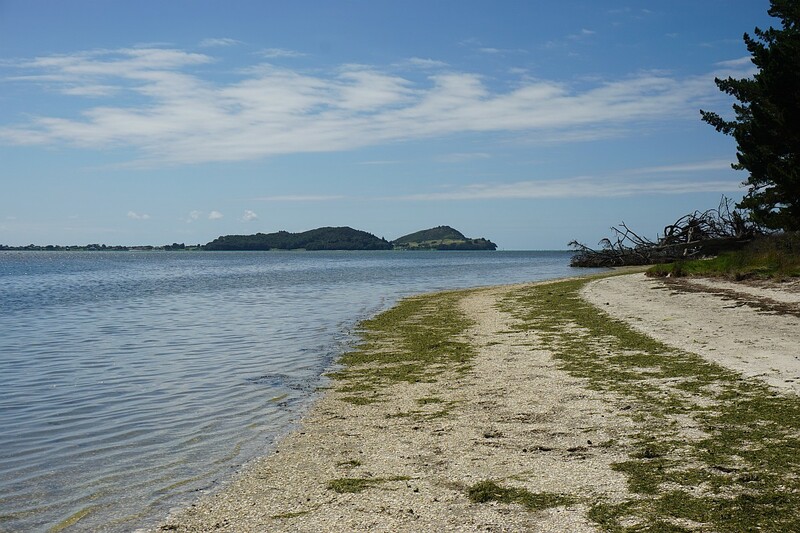 Some years ago the Western Bay of Plenty District Council published a small booklet, Walking Tracks of the Western Bay, which included a number of short walks such as the one at Tuapiro Point. The booklet is apparently no longer published or updated, but a downloadable pdf version of the latest issue, taken from a resident’s guide, should be available. 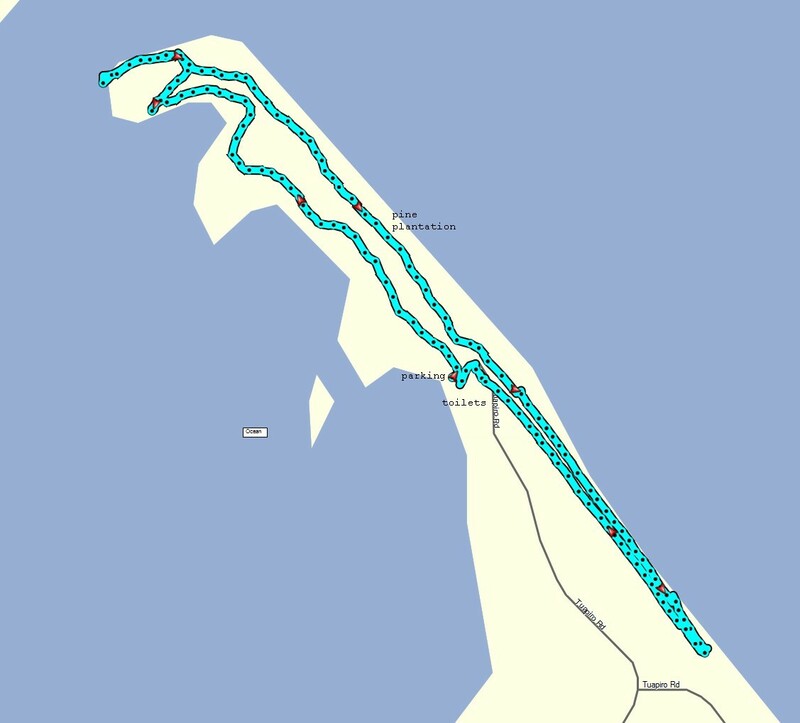 Currently it’s from 2014 and can be found on the WBOPDC web site by searching for walking tracks. One of the results should have the name of the booklet as the heading. 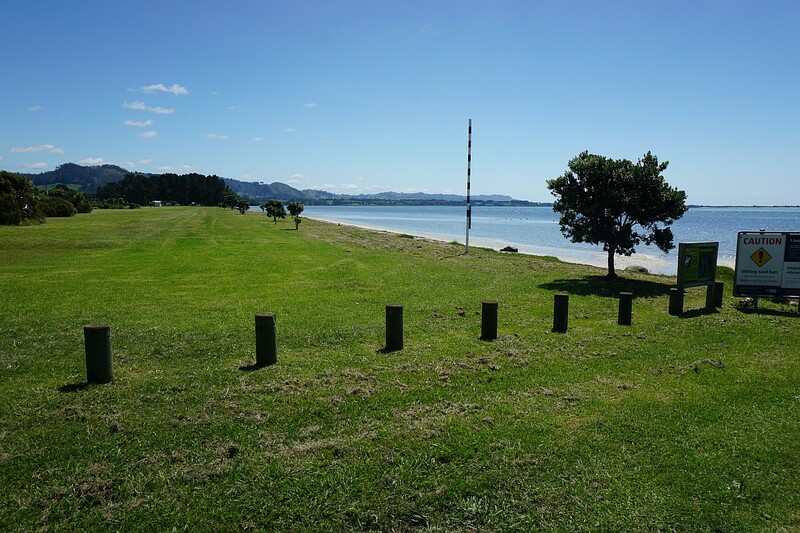 The booklet has not been updated since the new road and parking area were constructed, so the walk described there is mostly along the grass reserve on the waterfront. 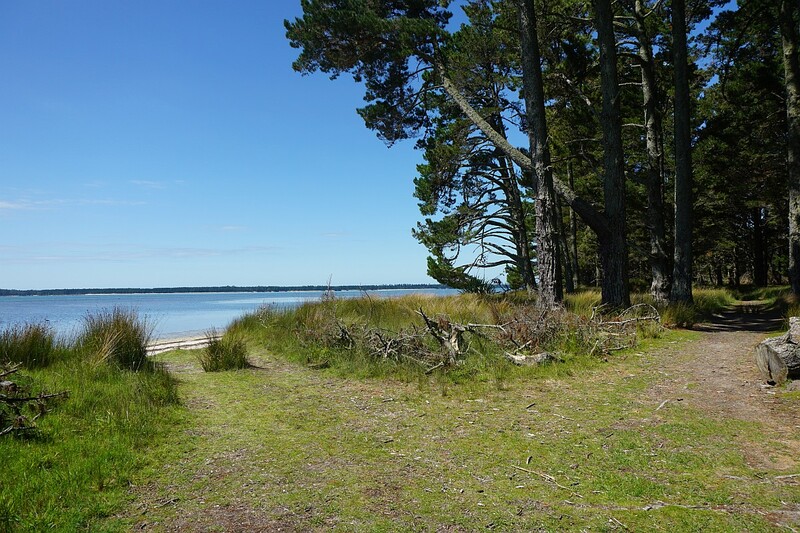 The walk through the pine plantation to the end of the spit, and along the waterfront back to the parking area was about 2.8 km and took about 45 minutes. However it would be possible to walk through the plantation without walking along the grass reserve, cutting the length to less than 2 km and the time to about 30 minutes. 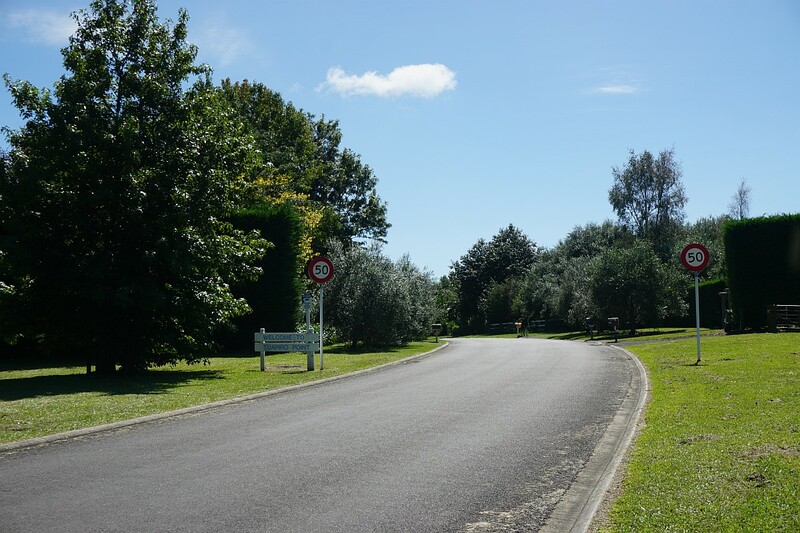 The entrance on Tuapiro Road to the small settlement at Tuapiro Point. The road branches off to the left and the right after passing the entrance. The left branch is new, and is not shown in the WBOPDC booklet. It leads to the new carpark by the plantation. 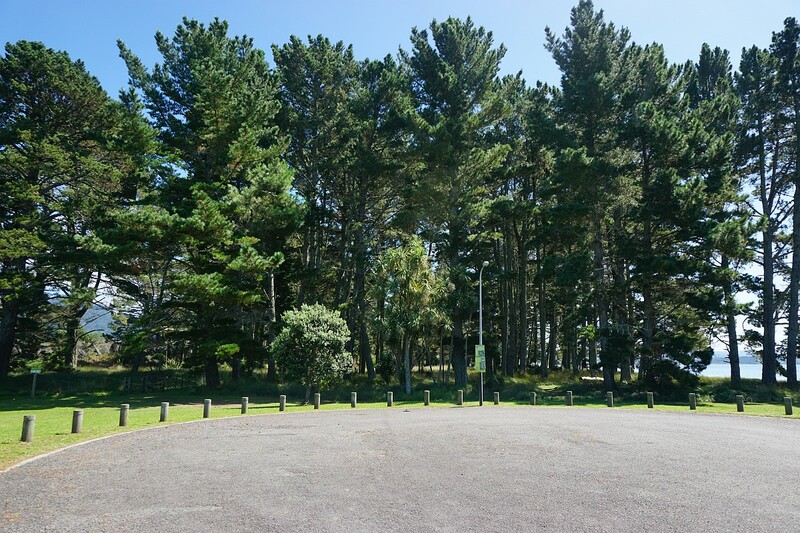 The pine plantation at the north-western end of the Tuapiro spit, and the turning area by the carpark at the end of Tuapiro Road. 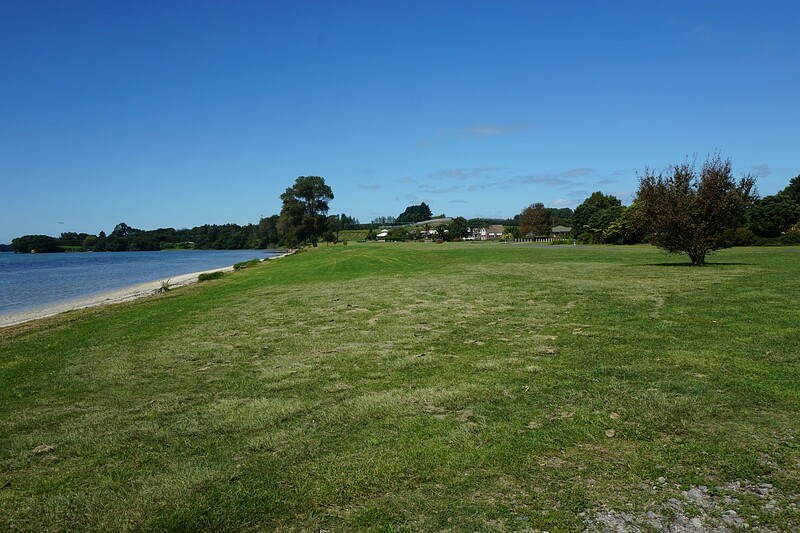 The carpark and part of the reserve at the end of Tuapiro Road. The toilets are on the right. Someone has tried to construct a makeshift jetty near the carpark. Purpose and suitability for purpose unknown. 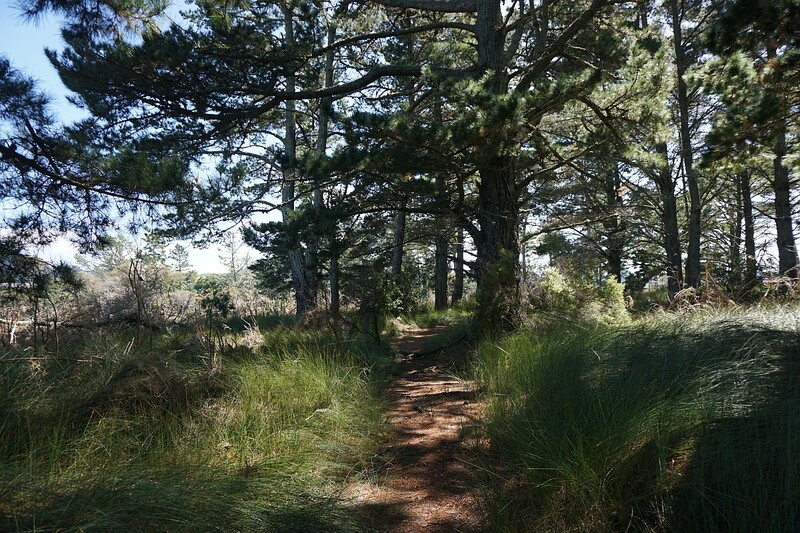 Entry to the pine plantation by the carpark. The walk was done in a clockwise direction, although the spit is not very wide. 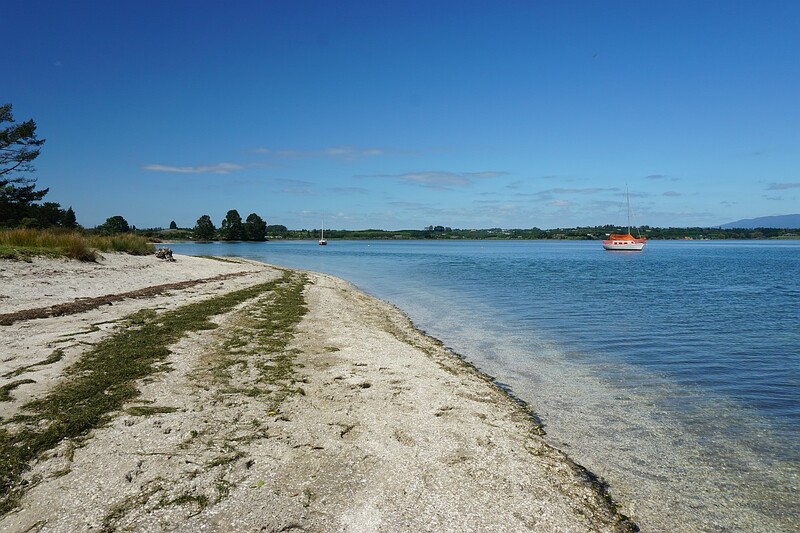 View from near the end of the spit across to Tanners Point. The pine trees at the edges of the spit are apparently prone to falling, as there were several large ones lying by the water. The north-western point of the spit, looking across to Tanners Point. The beach at the north-western end of the spit, looking south-west. View across the harbour to Bowentown. The fallen pine trees can be seen on the beach. 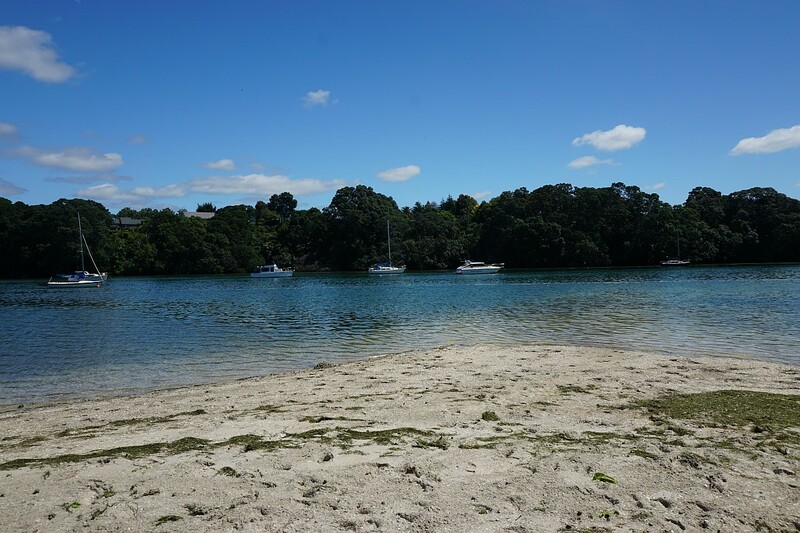 Looking across the harbour to Matakana Island, from the walk back to the carpark. 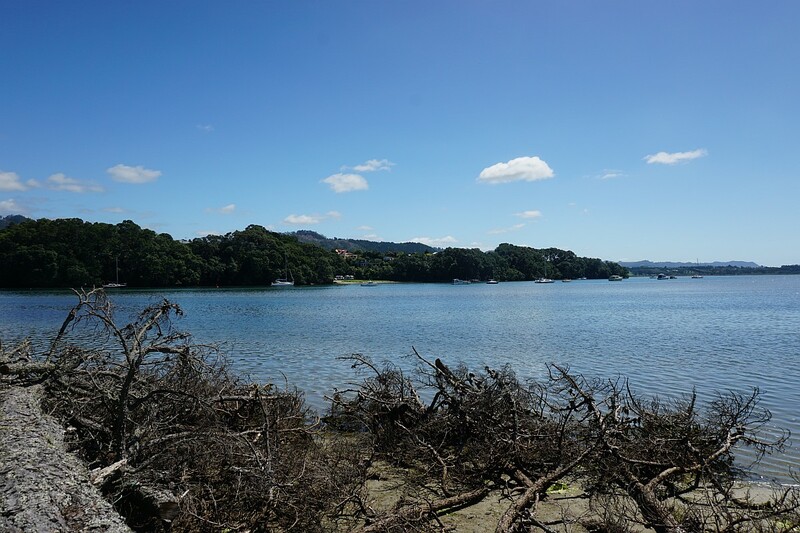 From the grass reserve along the waterfront, parallel to Tuapiro Road, there is a good view across the harbour to Bowentown and the north-western end of Matakana Island. 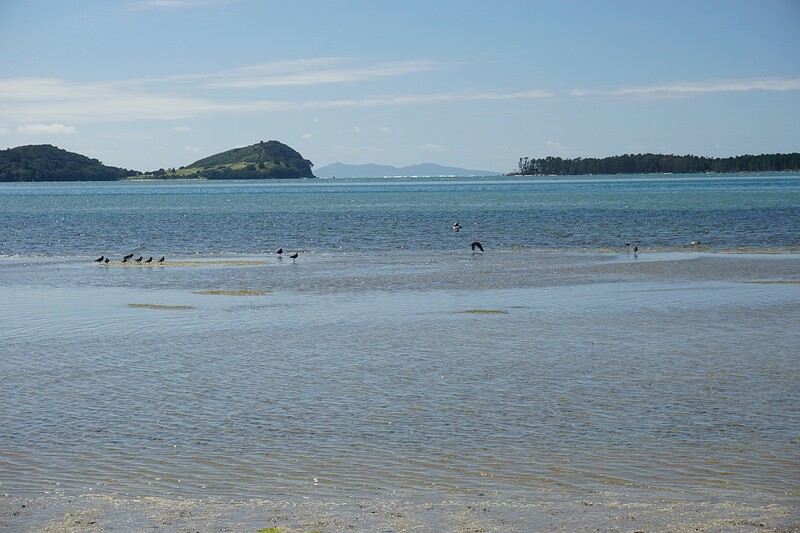 In the gap between these Tuahu/Mayor Island can be seen in the distance. 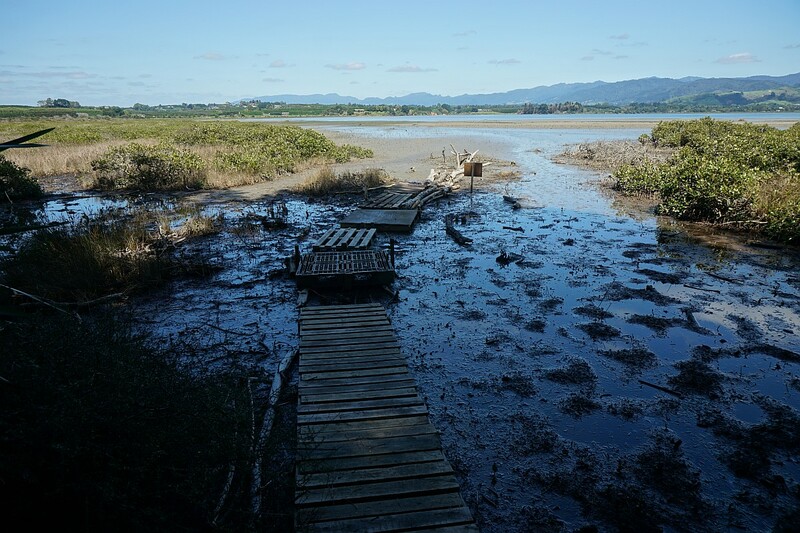 Looking south-east from the original entry point to the reserve, where Tuapiro Road now branches off to the north-west and the south-east. This was the start of the walk in the WBOPDC booklet. Looking from the same location back towards the carpark and the pine plantation. There is also a boat ramp by the signs on the far right. The GPS tracklog shows the route followed, and the location of the parking area and toilets. The total distance walked was 2.8 km, taking a total of 45 minutes. 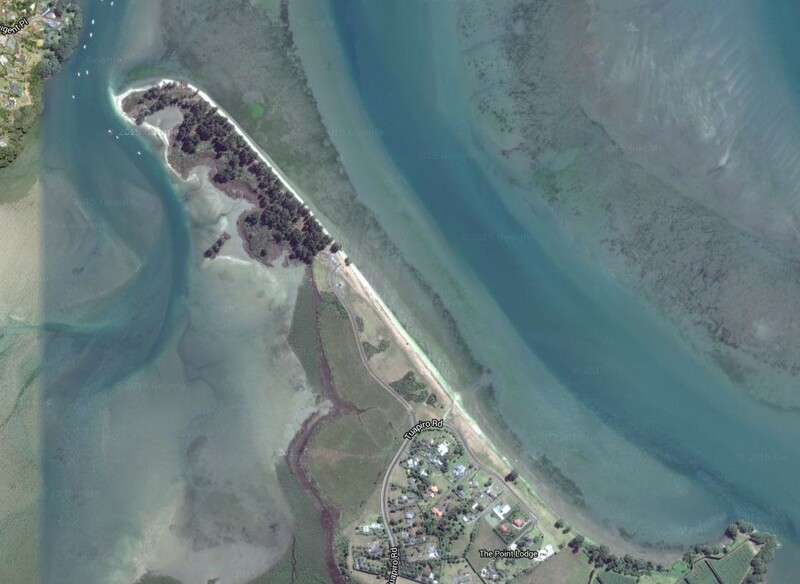 The satellite image, from Google Maps, shows the same area in more detail. The tracks were walked on March 3, 2016.